Tim is my friend and coworker. He is a great guy but definitely NOT a birder by any stretch of the imagination He is a tech geek who takes tech as seriously as I take birding. He regularly sends us emails with interesting tech news. 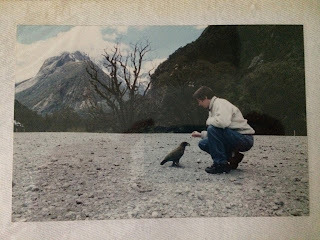 Today's tidbit reminded me of our trips to Australia and New Zealand many years ago - before blogs were invented. I thought I would pass along some interesting facts/stories. Its all true. Everything in Australia can kill you or disrupt your life. Even seemingly innocent birds! I’ve seen these birds in action. 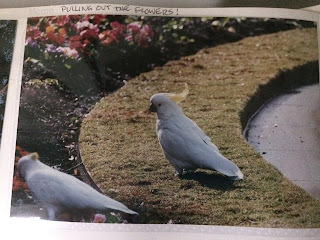 When I was at the Royal Botanical Gardens in Sydney, I watched one of the buggers follow a gardener around a fountain and pull out every flower that the guy planted. When I asked why the gardener didn’t shoo the bird away, he told me that they were protected species. He must have planted those flowers 3 times before the bird got bored and flew off. 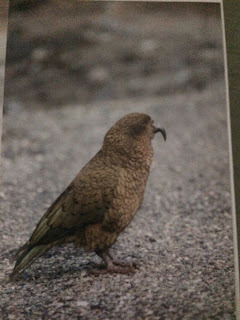 Here is a photo of the bird in the garden. Keep in mind, that the photos posted in this blog were taken with FILM (remember that?). I dug out the old photo albums and took iPhone photos of the photos to post here. Hysterical! He was even showing a friend how to do it. "Look mate, just grab it by the flower and yank". 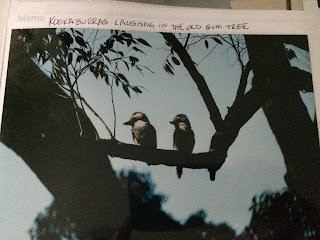 We saw other cool birds in Australia including the iconic Kookaburra. We sang the song alot. This is the best photo that I could get. Back then the photography skills weren't what they are today (LOL). 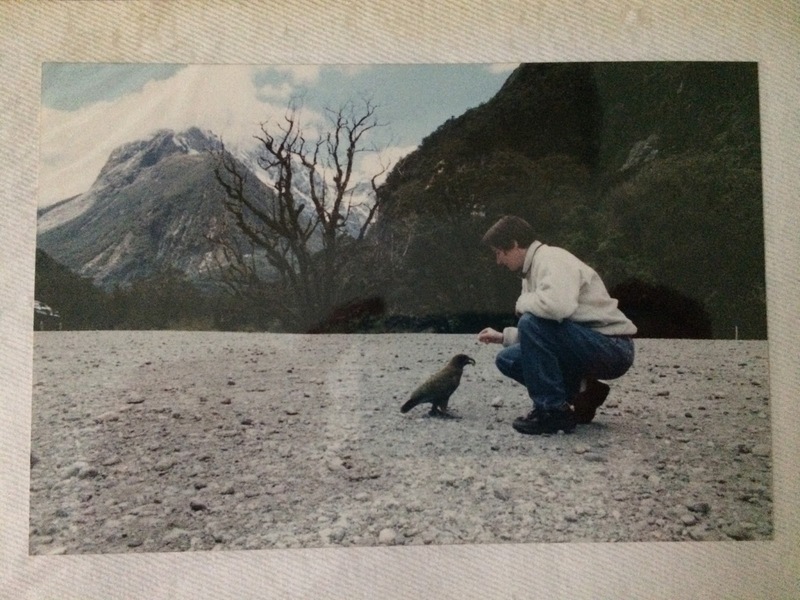 Connie and I took another trip to New Zealand in the 90's too. 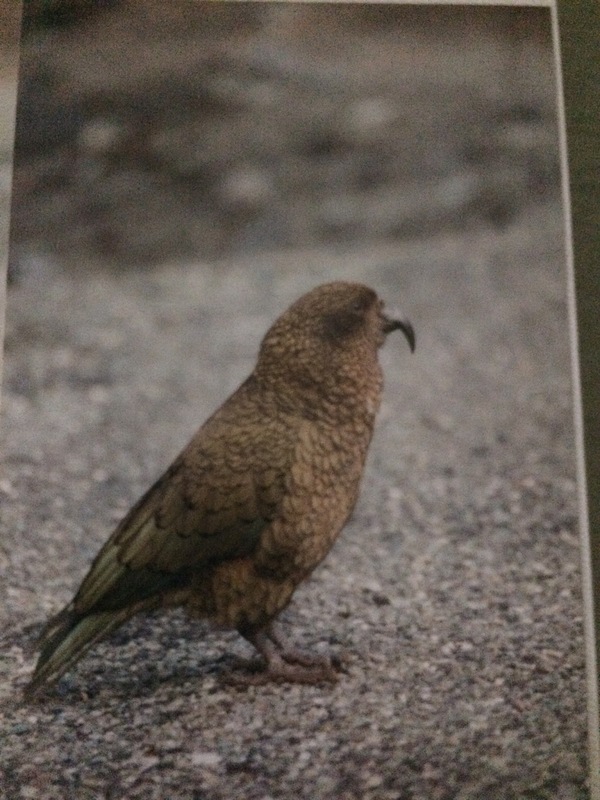 There, we were warned about another parrot-type bird called a Kea that would remove the rubber gasket around the windshield if you left your car in the parking lot for too long without feeding the birds. People regularly came back to the lot to find the windshields out of the car or at least, the wiper blades removed. Here is one in action on our rental car! 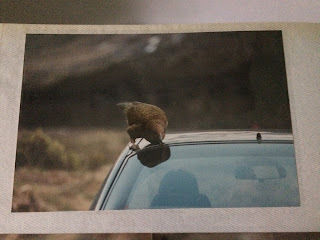 Other tourists told us to feed the birds so that they left our car alone. Thankfully, we had some grapes in our lunch bags. These fuckers shake you down for food. Here is Connie feeding one. 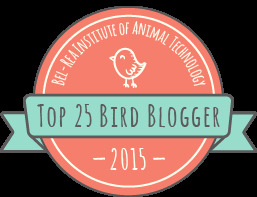 They are pretty big birds with sharp, curved bills. They are prehistoric looking parrots. 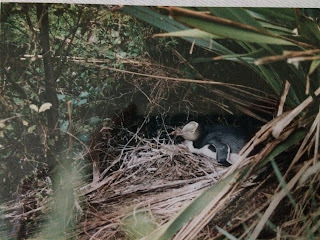 Our favorite birds of New Zealand had to be the penguins. 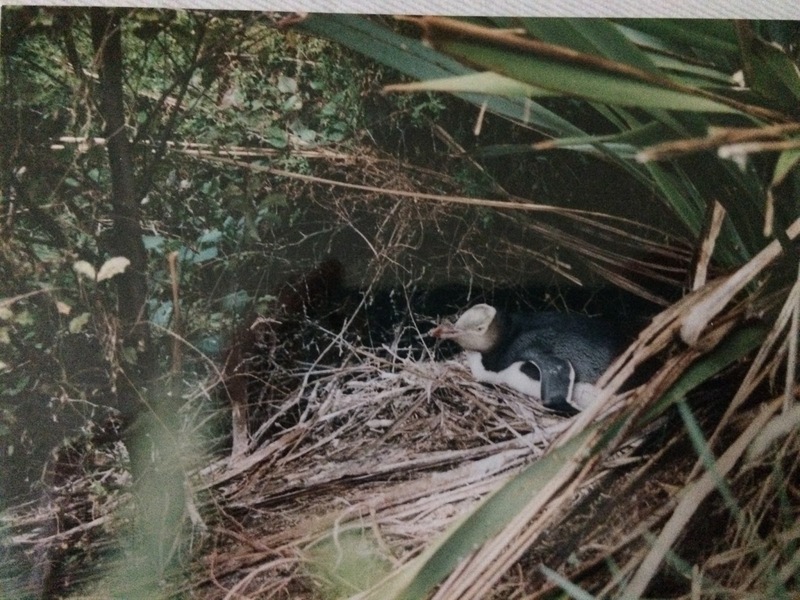 We saw a few different species but finding the Yellow-eyed Penguin on her nest was amazing. They burrow holes in the hillsides along the coast. Ah, good times down under for sure. I highly recommend making the trip.